Beside the high-quality photos there is not much new information about the LG Nexus phone. Still, we get its model name - the LG E960 - and a codename - the Mako. We'd say that if it really turns out to be this year's Nexus device (something our fellow tech journalists are not quite sure), it makes all the sense in the world to be called the Google Optimus Nexus, right? The pre-production phone these guys have runs currently the latest Android Jelly Bean 4.1.2. On the front, there's a 4.7-inch screen with a resolution of 768x1280px. On the back, there's a 8 megapixel camera. The real disappointment is on the inside. Despite the presence of the powerful quad-core Qualcomm chipset with 2GB of RAM, the built-in storage is only 8GB and there's no card slot for expansion. 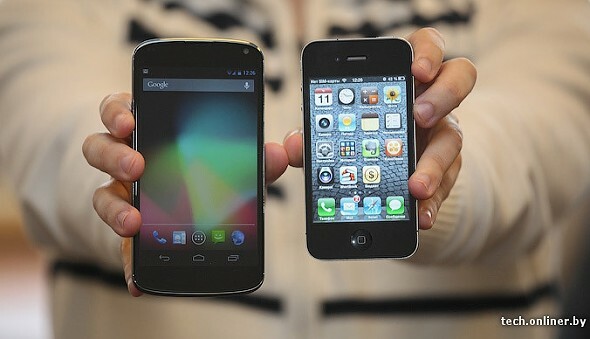 Judging on the limited storage, LG wouldn't like it for their Optimus Nexus phone to compete with their other flagships. It's much like how Samsung supplied a measly 5 megapixel camera on their Galaxy Nexus. As things are shaping right now, the Optimus Nexus won't be a customer-oriented multimedia consumption device. Anyway, check out some more shots at the source link below. I want made-by-Nokia Android phone!